While everyone goes to theaters to see Deadpool this weekend, Warner Brothers and DC Films made sure to remind you that Batman v Superman: Dawn Of Justice is just a month away from hitting theaters with an epic final trailer for the film. There's also a very cool IMAX poster to go along with the new trailer. 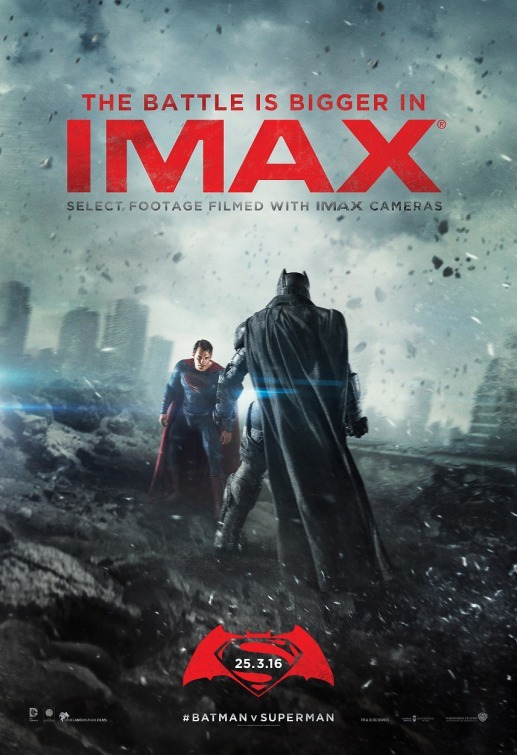 Batman v Superman: Dawn Of Justice is in theaters March 25, 2016.